Previous essays here have discussed the difference between the four feminine elements and the four masculine elements, and the four elementary perceptions. This essay looks more closely at the four masculine elements and, more specifically, how awareness of them arises in perceptual space. According to one manner of thinking, masculinity is judgment in the place where femininity is perception. Where feminine divides into light and dark (where both have equal value), masculine divides into good and bad, where one is prized and the other despised. Thought of in terms of elements, the basic masculine division is into precious and base. This means that applying the simplest possible masculine lens to the world will divide it into things that are valuable and things that are not valuable. Those things that are already valuable don’t need to be (or ought not to be) acted upon, because they are good as they are. That which does not have value can be freely acted upon, because such actions do not (or ought not) destroy value. The elementary masculine action is to impose order upon chaos. This means to impose order upon the world. Before this can be done, the masculine perception must be adopted, so that the world can be divided into precious and base. The precious does not need to have order put to it; it has value inherently. The base, however, can freely be worked because in doing so one cannot damage anything valuable, and can in fact improve the value of it if the correct order is imposed. Regarding the base, the natural masculine question is to ask: can some of this be shaped into a tool? If a blob of clay – which is simply an ordinary part of the natural world – can be shaped into an object that is useful as a tool, then the crafter has performed an act of basic alchemy: through an application of will he has turned clay into iron. This he has done by imposing a useful order upon it. Imposing useful order upon clay makes it more valuable than mere clay, because it is possible for information to have value, and if that information is encoded into the shape of an object then that object also has value. A worthless blob of clay can be thrown into a pot, and a pot has value as a tool because it can be used to store things. A stick can be fashioned into a spear; rocks can be melted to produce copper and iron, which can themselves be formed into tools. 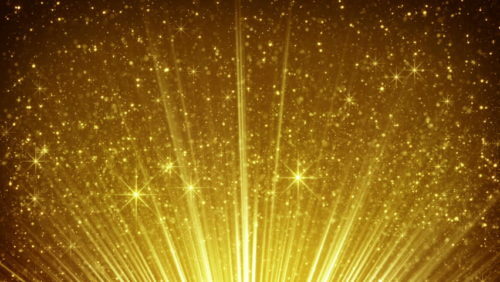 The two precious elements – those which are perceived to be good and valuable instead of otherwise – are silver and gold. Both of these are very bright in comparison to the base elements, which is how their essential masculinity manifests – as light. Because these elements manifest themselves as light, and because light is associated with valuable things (like warmth, the Sun, daytime etc. ), these elements have inherent value. Ultimately, the reason why gold is more valuable than silver is because it is richer. Gold is shiny like silver, but where silver is colourless, gold is a vibrant kind of yellow. In this sense, gold contains all of the range of colours that clay does – all the colours of life. Thus, it is easier to distinguish gold from iron than it is to distinguish silver from iron, which means that the gold is more obviously valuable. Metaphysically speaking, this arrangement of the world into four elements of increasing rarity and value tells an entirely different creation story to the seemingly random appearance of the feminine elements of earth, water, air and fire. It tells a story of order emerging out of an ocean of chaos by means of an act of will, first hardening itself, then polishing itself, then finally refining itself to become something immensely valuable that somehow stood as an avatar for all of life – a God.